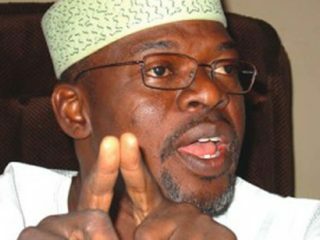 Former bank chief executive, Sir Marc Wabara has joined the race for the Senate under the banner of the All Progressives Congress (APC). 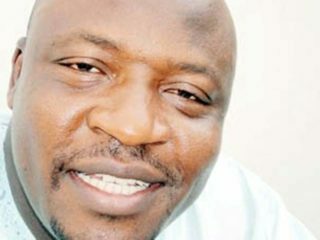 Sir Wabara who picked his nomination form from the party’s headquarters in Abuja, said that his decision was informed by the need to positively impact the fortunes of his Abia South constituents. 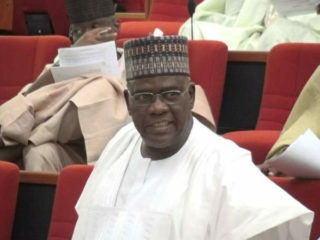 Displaying the nomination form to his teeming admirers, Wabara said: “I humbly offer myself for election into the nation’s Red Chamber as a distinguished Senator of the Federal Republic of Nigeria representing Abia South Senatorial District on the platform of the All Progressive Congress (APC). If I am honoured with the party’s mandate, I pledge that I shall proceed with faith, boldness, courage and decisiveness in the Red Chamber. A 2004 “Zik Prize Award for Leadership in Banking,” Sir Marc is also a recipient of several other honours, including the title of “Enyi Abia” bestowed on him by the Abia State Government in recognition of his empowerment programmes for indigenes of the state. Considered as a clear front-runner in the party, the respected financial expert and former governorship aspirant received a major boost when his candidacy was endorsed by the Abia South APC Caucus. Wabara is a graduate of the prestigious MBA programme of the Adelphi University, New York, graduating with distinction. He consults widely for financial services, oil and gas and real estate sectors. Wabara was educated at the Federal Government College, Sokoto where he obtained a “Division 1” Grade in 1972. He graduated from the University of Lagos (UNILAG) with an Upper Honours degree in Finance, majoring in Banking. He again earned an MBA degree (with distinction) in 1982 from the School of Business Administration, Adelphi University, Garden City, New York, USA. He majored in Finance and earned 3.92 cumulative points out of possible 4 points. The former banking guru started work in 1977 as an Accounting Trainee in the Finance and Accounting Department of the Nigerian Ports Authority (NPA). He later joined Mobil Producing Nigeria as an Accountant before moving to Metropolitan Life Insurance Company, New York in 1982 as a Manager-in-Training. Wabara was in 1984 hired by International Merchant Bank (Nigeria) Limited, with responsibilities spanning correspondent banking, London Club, Commercial Debt Rescheduling as well as Credit & Marketing. He moved to African Continental Bank Limited (ACB) and Chartered Bank Limited respectively as a Senior Manager and Senior Manager/Deputy Head of the Credit & Marketing Division. Between 1991 and 1993, he was a General Manager in the Treasury/International Operations Division of Manufacturers Merchant Bank Limited. It was from there that he was recruited in 1993 as the pioneer Managing Director/Chief Executive of then Hallmark Bank Plc. In November 1999 he assumed the position of Chairman/Chief Executive of the bank until January 2006. This provided him with an opportunity to create jobs and finance projects both at small, medium and large scales. Wabara was in May 2013 appointed by the Federal Government as a Member of the Board of Directors/Chairman of the Technical/Projects Monitoring Committee of Cross River Basin Development Authority. He also holds executive and non-executive board positions in public and private institutions requiring practical experience and professional skills for achieving socio-economic and political growth targets.